Years ago, my sister introduced us to soap nuts. Sounds crazy, but they are wonderful! They do look like nuts, but they are for soap. 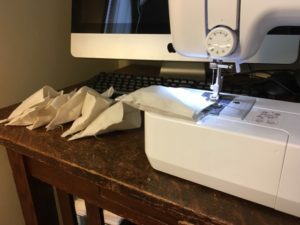 You run them through the washing machine just like detergent pods — except you can use the nuts over again for multiple loads of laundry. You can order them from various natural product web sites, or Amazon offers several options as well. I generally get a two pound bag at a time, which will last for about two years. 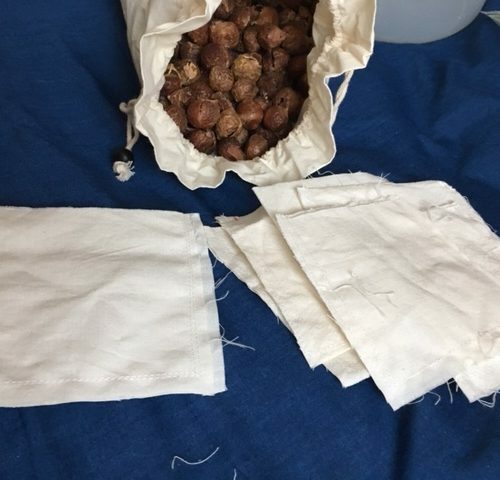 The nuts usually come with small fabric bags that you fill with 5-6 nuts, close, and throw in with the laundry until the nuts are used up. They will stop lathering when wet and feel all crushed up when they are done. At that point, you throw away (or compost) the nut residue and fill the bag up again. They do well with smells and dirt, although I do treat some stains separately as needed. Not only are they a fairly cheap option for laundry detergent, they are all natural and don’t leave residue on the clothes. With sensitive skin myself, I love the non-irritating option every day. 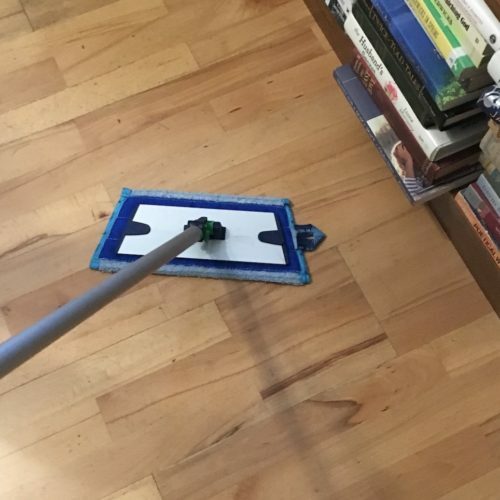 The bag of nuts can even be used as a quick and easy spot remover. Just scrub the spot with the wet bag and then air dry. 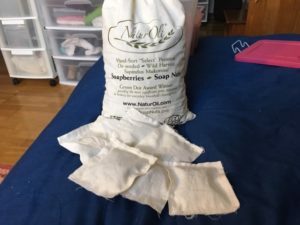 A friend even found that she didn’t need fabric softener once she switched to soap nuts. The clothes turned out to be softer than when she used a natural softener. I’ve never used softener, because of sensitivity, but I can also agree I don’t have a need now either. That saves money and additional “stuff” in the load. Now, even though the order comes with little bags, I have taken that one step farther to create my own basket of pods. When one is done, I just toss the whole thing and grab a fresh one. 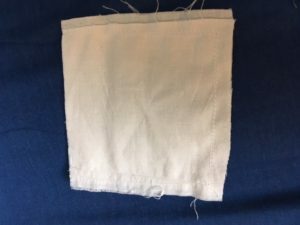 First I cut small squares, about 3″ square (like a sticky note), from the cheapest unbleached muslin I can find. They don’t have to look good or be perfectly straight, just roughly match up. 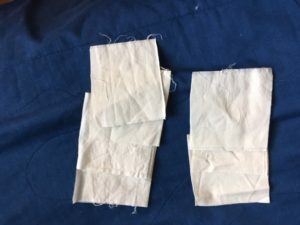 Then I take two squares at a time and sew them together on three sides. Again, not pretty or perfectly straight — just together. They only have to make it through 6 or so loads of laundry. 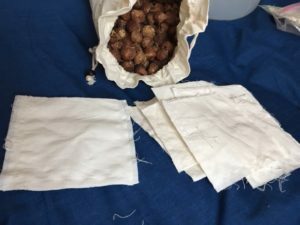 Once I have a bunch of those, I fill them with 4-6 soap nuts and sew the fourth side together. Now I have a whole stash of pods to use for laundry.